The Punisher/Painkiller Jane #1 Marvel Knights Ennis FREE SHIPPING AVAILABLE! 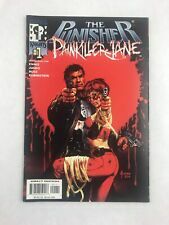 THE PUNISHER PAINKILLER JANE #1 ONE-SHOT SPECIAL (2001) GARTH ENNIS! JOE JUSKO! 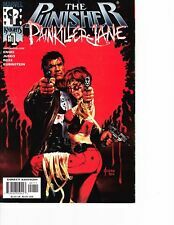 PAINKILLER JANE & PUNISHER #1 B&B VF/NM RARE MARVEL KNIGHTS JUSKO MORE INSIDE! This page was last updated: 26-Apr 01:30. Number of bids and bid amounts may be slightly out of date. See each listing for international shipping options and costs.